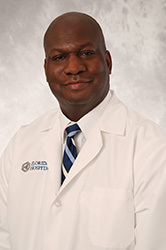 Dr. Swanson is a board certified cardiovascular surgeon with more than 18 years of experience. He is a military veteran with experience working overseas and the continental United States. He has advanced training in heart failure surgery and has interest in coronary revascularization, valve repair and replacement, TAVR, ECMO, venticular assist device surgery, thoracic trauma, critical care and thoracic oncology. This entry was posted in Award, celebrity, honoree, India and tagged Cardiovascular Surgeon, Carolinas Medical Center, Charlotte, College of Medicine, Columbus State University, FL, Florida, Heart Doctor, Howard University, MD, NC, Rozales A Swanson, Tampa, Today's Honoree, University of South Florida/Bay Pines Hospital. Bookmark the permalink.